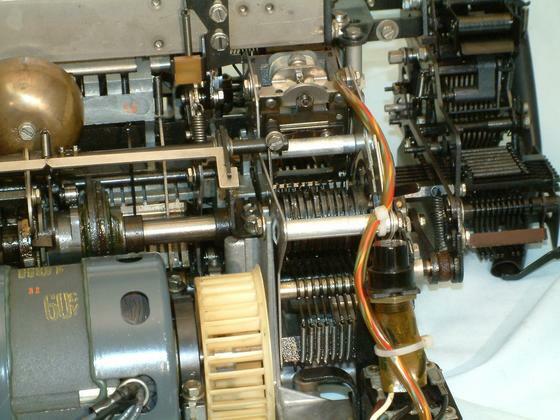 This is a closeup of the selector cam in the ASR 33 Teletype teletypewriter set main assembly. It consists of 12 cams which control the various codebars. 8 of them are used to decode the 8 bit serial data. A electromagnet is driven by the serial data which for each data bit determines if the selector lever is activated by the cam.